Should racist wills be void on public policy grounds? This issue has arisen in a number of cases over the last couple of years, most recently in Spence v. BMO Trust Company [“Spence“]. In that case, the deceased disinherited his daughter and the daughter alleged that her disinheritance was motivated by racial animus. The Ontario Court of Appeal upheld the validity of the will and overturned the decision of the lower court, which had set aside the will on the grounds that it was discriminatory and violated public policy. In this paper, I make two principal arguments regarding the decision. First, I argue that the Court of Appeal was correct to overturn the decision of the lower court and affirm the validity of the will. The will did not express a racist intention on its face. The lower court ought not to have admitted the evidence of the disinherited daughter regarding the testator’s motivation, as such evidence is inherently unreliable and its admission would only lead to unnecessary litigation with no predictable outcome. Even if the will had been racist on its face, the testator had broken no law and was entitled to dispose of his property as he saw fit. Second, and perhaps more controversially, I argue that the Court’s reasoning in Spence should be equally applicable in the realm of public trusts. Public trusts are not fundamentally different from private trusts. Both reflect a private disposition to a select few beneficiaries. Voiding discriminatory public trusts on the basis of public policy is an inherently subjective exercise and has increased uncertainty in estates law. 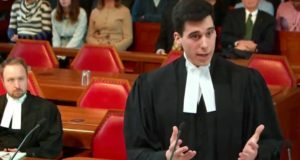 The courts should reaffirm the Supreme Court of Canada’s binding decision in Re Millar [“Millar“], which held that a will can only be voided on public policy grounds where the harm to the public is “substantially incontestable.” Where a public trust is not unlawful, it should only be voided in the most extreme cases, where there is clear evidence that it will undermine equal opportunity to public services or to services, goods and facilities offered in the marketplace. The deceased, Eric Spence, was a black Jamaican-Canadian with two daughters. He bequeathed much of his estate to one of the daughters (Donna) and completely disinherited the other (Verolin). According to Verolin, she and her father enjoyed a positive relationship until she became pregnant. When Eric learned that the father was a white man, their relationship “came crashing down.” According to an affidavit filed by Verolin, Eric told her that he was “ashamed” and began to restrict communications. He made it very clear that he would not allow a “white man’s child” in his house. The Court of Appeal disagreed and held that the will was a valid exercise of the deceased’s testamentary freedom. Madame Justice Cronk, writing for the majority, began her analysis by re-affirming the principle that testators should be free to distribute their property as they see fit. Testamentary freedom, while not absolute, is a “deeply entrenched common law principle.” Among the narrow restrictions imposed on testamentary freedom are public policy considerations. In the 1937 Millar decision, the Supreme Court of Canada held that public policy “should only be invoked in clear cases, in which the harm to the public is substantially incontestable, and does not depend upon the idiosyncratic inferences of a few judicial minds.” In Canada Trust Co v. Ontario Human Rights Commission [“Canada Trust,“] the Ontario Court of Appeal applied the Millar principle to a charitable trust that required beneficiaries to be needy, white, of British descent and Protestant and found that the trust offended public policy in Ontario as it was blatantly discriminatory. The majority in Spence distinguished Canada Trust on two bases. First, unlike Canada Trust, Mr. Spence’s will was not prima facie racist. The will indicated that Verolin was being disinherited because “she has had no communication with me for several years and has shown no interest in me as a father.” As the Court correctly noted, these are the “sentiments of a disgruntled or bitter father,” not “the language of racial discrimination” (para. 53). 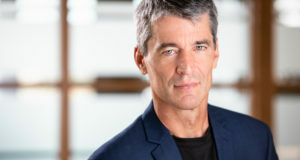 Verolin’s affidavit evidence was deemed inadmissible, as it constituted extrinsic third-party evidence regarding the intent or motivation of the testator in circumstances where the will was unequivocal and unambiguous. If such evidence were admitted, would-be beneficiaries would have an open forum to “exaggerate or fabricate the testator’s predilections or utterances and conduct during life in an effort to ground a discriminatory motive claim.” Thus, unless a testamentary instrument can be construed as being discriminatory on its face, it cannot be voided on public policy grounds. Second, the majority stated that even if the will did exhibit racist motivations, it would nonetheless be valid since it concerned a private disposition rather than a public trust. The majority cited the concurring reasons of Justice Tarnopolsky in Canada Trust, which stressed that “[t]he decision does not affect private, family trusts…it does not affect testamentary dispositions or outright gifts that are not also charitable trusts.” Tarnopolsky J.A. explained that it was the “public nature” of charitable trusts that made them subject to public policy considerations. Since bequests to family members are, by their very nature, private, they do not engage public policy. 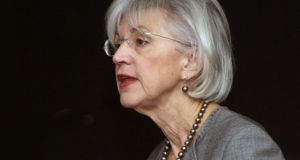 Justice Lauwers agreed with the majority decision, but wrote separately to emphasize the danger in expanding the public policy exception, which would not logically be confined to cases involving racial discrimination. To allow the application judge’s decision to stand would, in Lauwers J.A.’s view, increase uncertainty in estates law, widen the court’s discretion and burden, and, ultimately, open the litigation floodgates. Lauwers J.A. also echoed the majority opinion in noting that Eric’s disposition did not violate any Ontario or Canadian law. The Charter of Rights and Freedoms was inapplicable since it applies only to government actions and the Code similarly does not regulate the actions of individuals unless they are supplying “services, goods [or] facilities.” Since Eric Spence was doing none of those things, his conduct did not engage the Code. As Lauwers J.A. put it, “it is not the Code‘s purpose to force people to think and act rightly everywhere and at all times” (para. 126). The Court of Appeal should be commended for a principled and doctrinal decision. The decision is laudable for two reasons. First, it affirms that a testator’s intent is best discerned from the text of the will itself. 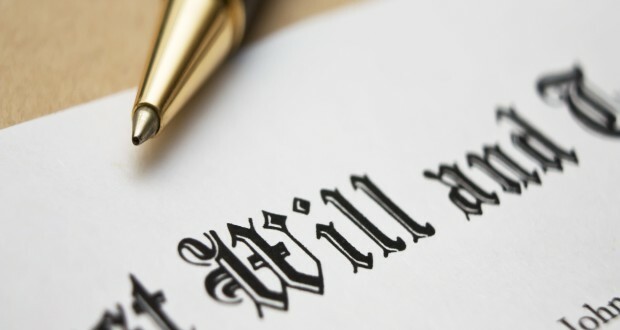 Extrinsic third-party evidence regarding the testator’s supposed wishes or motivation is inherently unreliable and should only be admitted to assist the court in construing a will where the text is equivocal or ambiguous. Where the will is unequivocal and unambiguous, admitting such evidence would muddy the waters considerably, leading to unnecessary litigation with no predictable outcome. No doubt it would strike many as “unfair” that the deceased chose to disinherit one child, especially with allegations of racial discrimination lurking in the background. 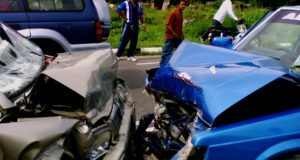 But as the majority correctly noted, “the scope for judicial interference with a testator’s private testamentary dispositions is limited” (para. 111). It is not the proper role of the courts to supervise and police a testator’s unqualified and legitimate choices simply on the basis of “public policy”. 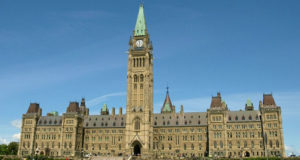 The majority in Spence reaffirmed the distinction between public and private trusts first articulated in Canada Trust. Yet, if we follow the Court’s reasoning to its logical conclusion, that distinction would appear to be one without a difference. True, a public trust tends to benefit more people than a private trust, but this merely suggests a difference in degree, not in kind. Both involve a private individual’s disposition in favour of (in most cases) a select few beneficiaries. Voiding public trusts on the basis of public policy has the same potential to “increase uncertainty in estates law,” and similarly undermines the principle of testamentary freedom. In Canada Trust, the Court acknowledged that there is no test or formula to determine whether a restriction amounts to discrimination; each trust must be evaluated on a “case by case basis.” This would seem to be an inherently subjective exercise, as the recent decision in Royal Trust Corporation of Canada v. The University of Western Ontario [“Royal Trust“] demonstrates. In that case, the Court voided a trust that was restricted, in the case of women, to “hard-working, single, Caucasian white girl who is not a feminist or lesbian, with special consideration, if she is an immigrant, but not necessarily a recent one.” The Court predictably concluded that the restrictions relating to race, sexual orientation and marital status were void, but also found that the testator was precluded from restricting the trust to non-feminists since this would amount to discrimination on the basis of “philosophical ideology.” This is extremely problematic since “philosophical ideology” is not a recognized ground of discrimination under the Code or the Charter. 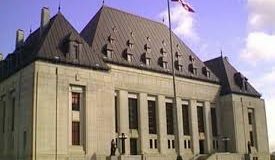 Indeed, if judges are permitted to void testamentary provisions on grounds that are not protected under any Canadian law, then they will effectively have unfettered discretion to determine the public policy of the province. The Supreme Court has given no direction on the issue of public policy since the 1937 Millar decision. That decision, which continues to bind all lower courts across the country, states that a will should not be voided for public policy unless “the harm to the public is substantially incontestable, and does not depend upon the idiosyncratic inferences of a few judicial minds.” There is no good reason to change that doctrine and certainly none has been offered to date. Thus, in deciding whether a will offends public policy, the court should first ask whether the disposition is unlawful; whether, in other words, it offends a “valid legislative provision” – the Charter, the Code or another statute – or would somehow amount to a tort. 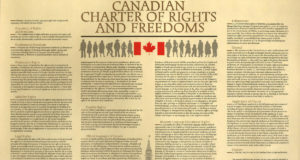 A public trust that requires a public official to discriminate on a prohibited ground could potentially implicate s.32 of the Charter, and insofar as the trust is found to be discriminatory, could infringe s.15’s guarantee of equal benefit of the law without discrimination. The court should of course also be prepared to void the trust if it runs afoul of a well-established estates law principle such as the doctrine of uncertainty. If the will is not unlawful or contrary to a common law rule, then it should enjoy a strong presumption of validity. The party arguing to set aside a discriminatory but lawful and otherwise valid trust should have the heavy burden of demonstrating, not merely that the trust is contrary to public mores, but that upholding the trust would cause “harm to the public” that is “substantially incontestable.” In Millar, the testator bequeathed the residue of his estate to the woman who, in the ten years following the testator’s death, has “given birth in Toronto to the greatest number of children.” There were concerns that this disposition would lead to fierce competition resulting in physical harm to the mothers and/or the babies born along with extramarital affairs and the overall degradation of family life – all of which would have surely contravened the public policy of the day. The Supreme Court properly concluded that it was “not sufficient to say that some people may be, or probably would be tempted by the hope of obtaining this legacy to conduct themselves in a manner injurious to wife and children.” Rather, the harm must be so obvious that it could be “judicially assumed.” As a result, the Court upheld the validity of the trust. Applying this doctrine in the context of a public trusts, the courts should look to whether actual harm would result – whether, in other words, validating the trust would have an adverse impact on the equal opportunity of non-beneficiaries to public services or to services, goods and facilities offered in the marketplace. To say simply that the trust’s existence may perpetuate discrimination or would probably promote negative perceptions of certain groups smacks of “the idiosyncratic inferences of a few judicial minds.” It will have to be left to future decisions to determine when, if ever, this high threshold is met; suffice it to say, the public policy exception should be confined to the most extreme and obvious cases. Many would undoubtedly argue that the Millar doctrine does not go nearly far enough in preventing discrimination; but, if anything, the opposite is true. The Ontario legislature has duly considered what constitutes good public policy in the province. It has enacted a statutory regime that only prohibits private discrimination where the discriminator offers goods, services or facilities, and has expressly exempted private educational and philanthropic institutions. What is more, it has enacted the Succession Law Reform Act, which implicitly endorses the common law principle of testamentary freedom. Put succinctly, testamentary freedom is also part of Ontario’s public policy, and no less so than the right to equal treatment without discrimination. 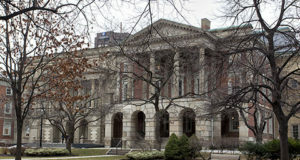 Indeed, there is a strong argument to be made that the public policy exception should be confined entirely to unlawful trusts, since the legislature is at will to amend the Code or the Succession Law Reform Act to prevent discriminatory public trusts (or private trusts) from taking effect. It is at times necessary for the judiciary to engage in some very modest “gap filling,” but the rule of law demands that any such gap filling be exercised with the utmost caution and restraint and in accordance with settled doctrine – in this case, the Supreme Court’s decision in Millar. The Ontario Court of Appeal’s decision in Spence represents a potential course correction in the realm of estates litigation. The Court offered a principled approach to private testamentary dispositions that will engender greater certainty in the law and that gives due regard to the ancient but ever-relevant principle of testamentary freedom. The Court’s reasoning, however, ought to apply equally in the realm of public trusts. Previous: State Regulation or Markets?